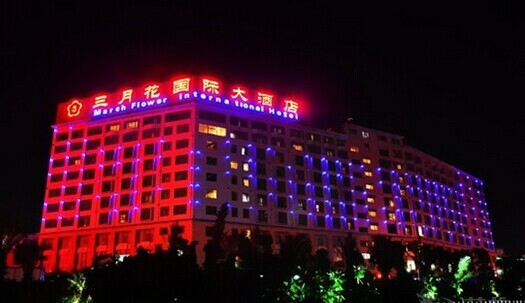 Renovated in 2017, the March Flower International Hotel is a great choice for accommodation in Nanning. For those who require internet access, the property features Free Wi-Fi in designated areas. Traveling to the hotel is easy with Nanning East Railway Station located approximately 6km away and Wuxu International Airport roughly 36km away. Being just minutes away from Hui?Zhan?Zhong?Xin Metro Station allows guests to explore the city with ease. This hotel is the usual choice for a large number of business travelers.